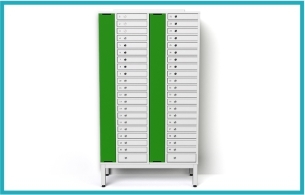 Individual access control and charging of devices in commercial, education, public sector and healthcare. 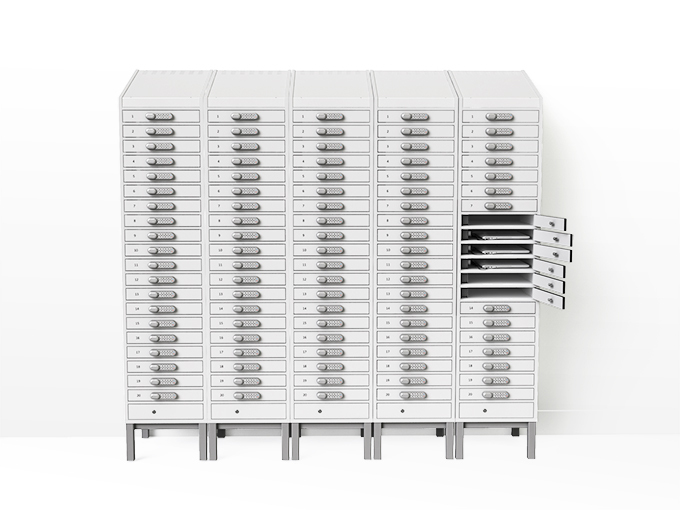 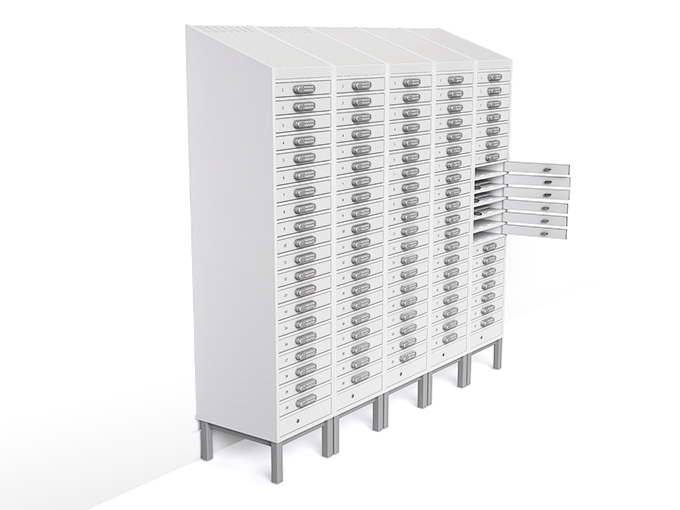 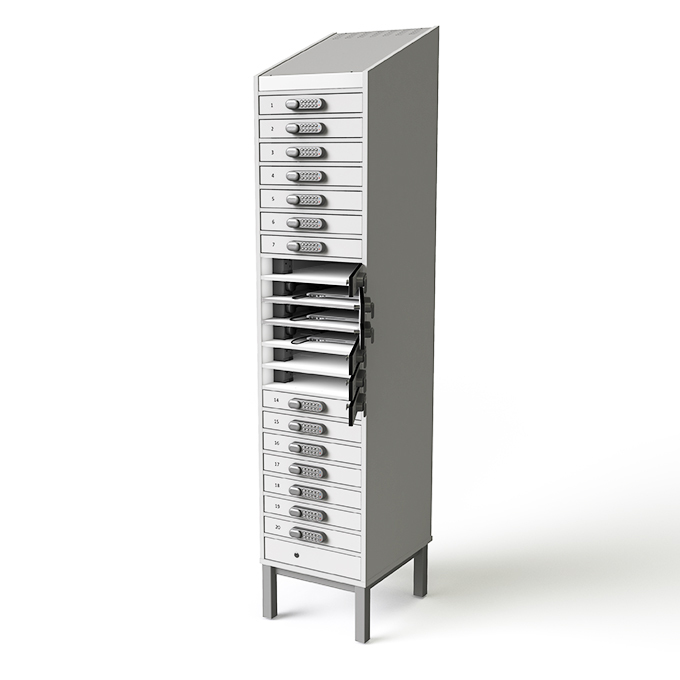 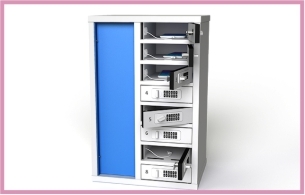 Create banks of mobile device charging lockers with these 16 and 20 compartment floor standing units designed to charge tablets, chromebooks and laptops. 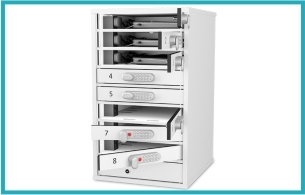 Lockers are opened with a choice of digital, mechanical or RFID access card code (or just a key) giving the option to dedicate lockers to individuals or enable multi user operation – like a hotel safe. 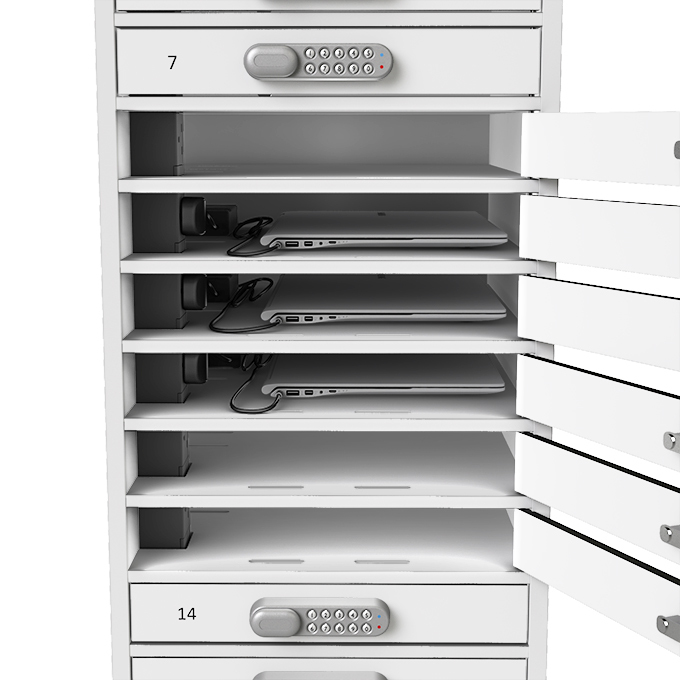 The zioxi BYOD lockers have the option of UK or EU mains and/or USB sockets integrated into each locker compartment.